Robyn Vilate: Holiday Sweater Favorites! Ditch the ugly sweater and get a fabulous one instead! 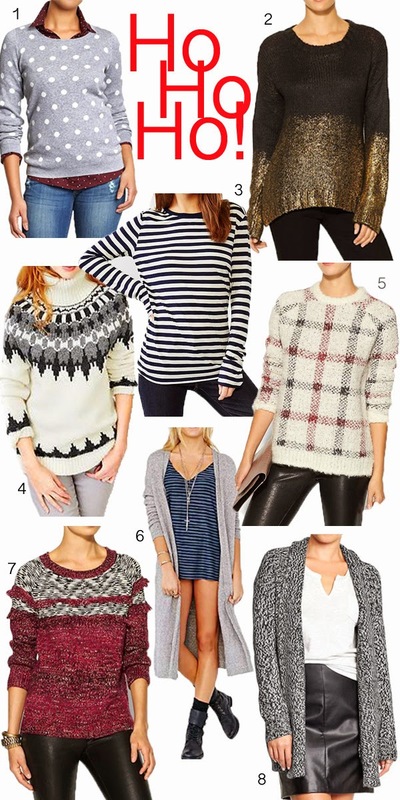 These are a few of my holiday sweater picks because let's be honest, sweaters are everyones favorite part about the cold... or is that just me?! I love all of these! #3 is such a great basic. Love black sweater in the right corner. So comfy looking. Great picks!